BARGES, I WOULD LIKE TO GO WITH YOU. – Hello? I Forgot My Mantra. Published on February 3, 2012 by i forgot my mantra. I would like to sail the ocean blue. 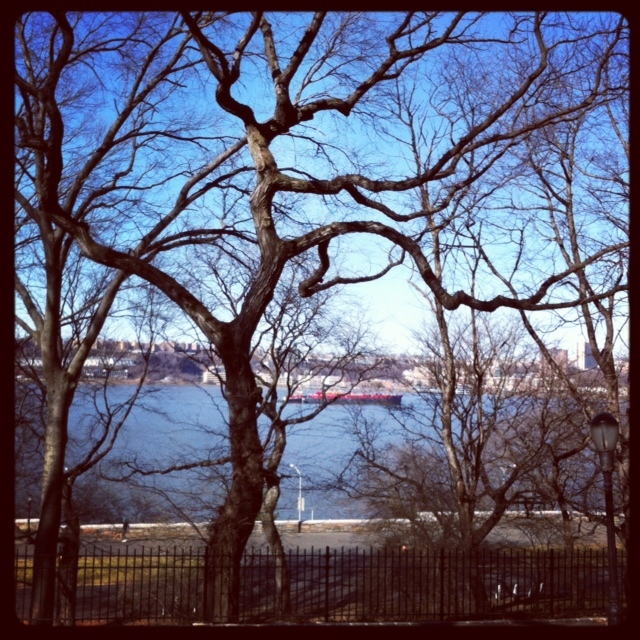 Well, it isn’t quite the ocean, but Riverside Park is my new favorite place in the city. I love seeing the river–it reminds me of home. And I love the old apartment buildings on Riverside Drive. I can’t wait to explore more. Categories Do you fight with pirates brave and bold? Next TWO GIRLS AND SOME DIPS.